Charles Oputa, popularly known as Charly Boy, on Thursday, urged that corruption should be made a treasonable offence for it to be adequately tackled. He made the call during a news conference put together by the “Occupy Unlimited” group, a civil society group that advocates good governance and corruption-free society. 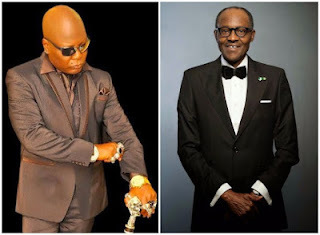 Charly Boy, who is the National Coordinator of the group, said “corrupt leadership has been killing ordinary Nigerians slowly and steadily over the years. “It is time to properly define it as ‘murder in disguise’, and treat as treasonable offence against our dear country. According to the social activist, death penalty should be introduced for all politically-corrupt persons in Nigeria if the nation really wants to be lifted out of economic hardship. He noted that countries such as China and Pakistan were striving better because they decided to make corruption a crime that deserved capital punishment. PreviousHillary Clinton Wins Popular Vote “Narrowly”, Trump’s “Boat Being Rocked” In the Midst of Wide-Spread Protests Across the US – Foreseen by T.B. Joshua?